$600 million-worth of illegal transactions alleged to have passed through SCB branches in Dubai between 2009 and 2014. 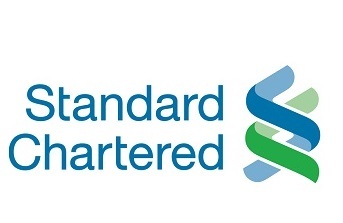 British bank, Standard Chartered (‘SCB’) is to pay a total of some $1.1bn to US and UK agencies to resolve ‘previously disclosed’ sanctions investigations by the US Department of Justice, the Office of the District Attorney for New York County, the New York State Department of Financial Services, the Board of Governors of the Federal Reserve System, the US Treasury’s Office of Foreign Assets Control (‘OFAC’), and the UK Financial Conduct Authority. Around $640m will settle potential civil liability for apparent violations of Burma (Myanmar), Cuba, Iran, Sudan, and Syria sanctions. In a settlement agreement, OFAC said that more than 9,000 transactions processed by SCB between June 2009 and June 2014 involved persons or countries subject to sanctions, with the majority relating to Iran (including $600 million-worth of illegal transactions passing through SCB branches in Dubai), and that the bank allowed multiple clients resident in Iran to access US dollars through US institutions, including its New York branch. OFAC said that bank officials had told an Iranian company how to avoid detection. Independently of the settlement, SCB has agreed to pay $18,016,283 to settle apparent violations of the Zimbabwe Sanctions Regulations.